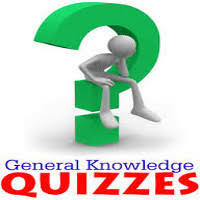 General Knowledge questions on Indian GK for Bank PO, IBPS, Bank Clerical And Indian GK For RRB Assistant Loco Pilot Group D 21-03-2018 questions for bank exams, very important computer-related questions for Bank PO, SBI PO, IBPS,RAS, IAS, UPSC, RPSC, 1st, 2nd, 3rd Grade Teacher, REET CTET, LDC, SSC CGL, IBPS, MBA, CAT, MAT, SBI-PO, RBI And Railway, Indian Army And all competitive Exams, and Most expected Computer Question Papers with answers. These Questions are most commonly asked in Other Banking Exam And All subject Wise Notes and Math, Hindi, English, History, Political Science, Psychology, Sanskrit Related Study material. Question (1) Who are the founders of Green Revolution in India? भारत में हरित क्रांति के सूत्रधार कौन माने जाते हैं? Question (2) Who has the most contribution to the national income of India? भारत की राष्ट्रीय आय में सर्वाधिक योगदान किसका है? Question (3). Who is the most contributor of the deficit in the total loss of the Government of India budget? भारत सरकार के बजट के कुल घाटे में किस घाटे का सबसे अधिक योगदान किसका है? Question (4) What does the point of devaluation point to? क्या अवमूल्यन के उद्देश्य की ओर संकेत करता है? Question (5) Kolar gold mine is in which state? कोलार स्वर्ण खादान किस राज्य में है? Question (6) Which country was the first industrial revolution? औद्योगिक क्रांति सर्वप्रथम किस देश में हुई? Question (7) What is the location of Indian Railways in the world? भारतीय रेलवे का विश्व में कौन-सा स्थान है? Question (8) Who is responsible for making a Five Year Plan? पंचवर्षीय योजना बनाने की जिम्मेदारी किसकी है? Question (9) Who is the relationship of Sunder Rajan Samiti? सुन्दर राजन समिति का सम्बन्ध किससे है? Question (10) What basis does monarchy take shelter of price discrimination? एकाधिकारी किसके आधार पर मूल्य विभेदन का आश्रय लेता है?